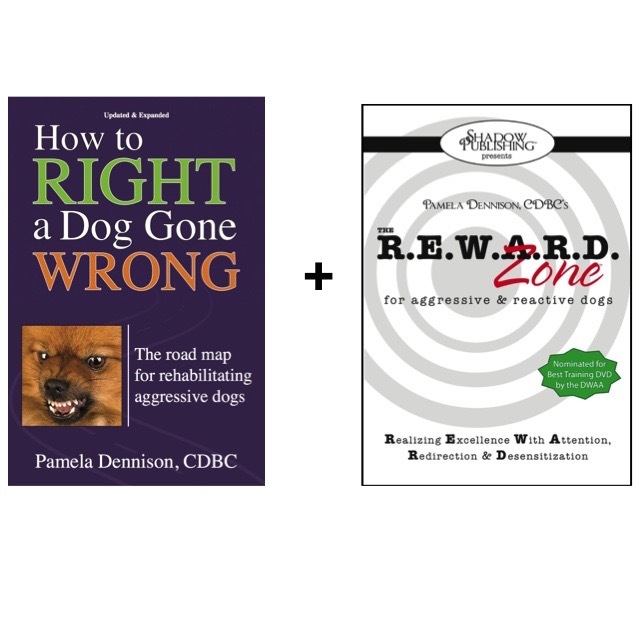 Purchase “How to Right a Dog Gone Wrong; The road map for rehabilitating aggressive dogs” and “The R.E.W.A.R.D. Zone for aggressive & reactive dogs” 3 DVD set at the same time and get a discount! The book is your textbook and the video shows you the protocols in action, with real dogs, real people, real issues! See below for more product information! 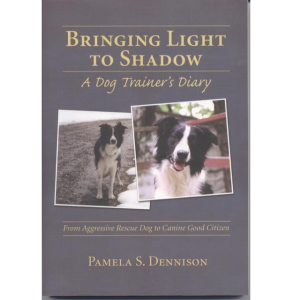 The Updated & Expanded Edition of “How to Right A Dog Gone Wrong; the road map for rehabilitating aggressive dogs,” by Pam Dennison CDBC. The original edition was 10 chapters – this new one has 17 chapters! The R.E.W.A.R.D. Zone program focuses on establishing foundation behaviors, learning to shape new behaviors, reading your dog, learning to interpret your environment and teaching owners to be better trainers. 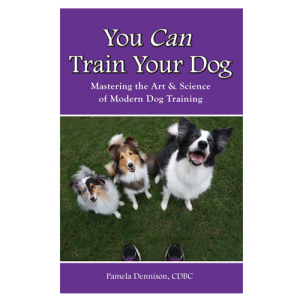 The book is your textbook and the DVD shows you the protocols in action, with real dogs, real people, real issues and teaches you how to transfer it all to real life! What you’ll find in this collection: BIG concepts explained in an easy to understand and implement format. You’ll learn how to set up your own sessions and what foundation behaviors you’ll need. How and when to start a session, when to keep going and when to stop are also addressed.